... and ... even closer-up. It was hard get the background to show as white (which it is) ... this is the best I could do. 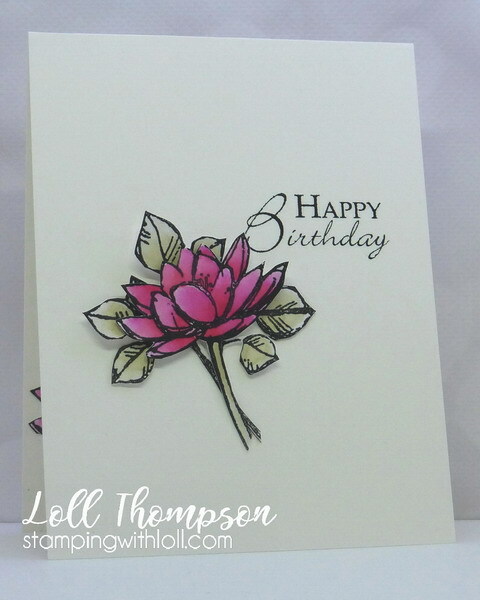 I hope you'll check out the challenge blog to see the amazing cards from our Designers, along with a beautiful card from our wonderful Guest Designer Darnell (djkardkreations). Then come join us. 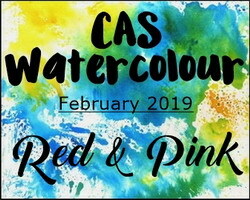 Remember to keep your card CAS (clean and simple), and use watercolouring on your card. You do such a spectacular job with your watercolor, Loll. I love that you did the inside to match the outside too and fussy cut! I've gotten a bit lazy doing insides but love how it looks. I agree about getting white in a photo too and getting it on line. Sometimes it just won't turn out that way. You created a beautiful color, my friend! Love this flower and how you kept the stem and leaves neutral! And a nice surprise on the inside too! A very pretty CAS card with lovely flower!! This is so pretty, Loll! I love the colors of the flower and leaves, and the way you arranged them. I would have never thought of using Sahara Sand to color the stem and leaves. The neutral color makes the flower look even more vibrant and lovely. I checked the original stamp set online and I'm so impressed how you fussy-cut these sketchy images and layered them beautifully. The close-up shot shows the details and the dimension so well. SO pretty, Loll! You are very good at this medium! Gorgeous color, Loll, and dimension too. It's a perfect CAS card. What a lovely color you came up with blending those two inks. 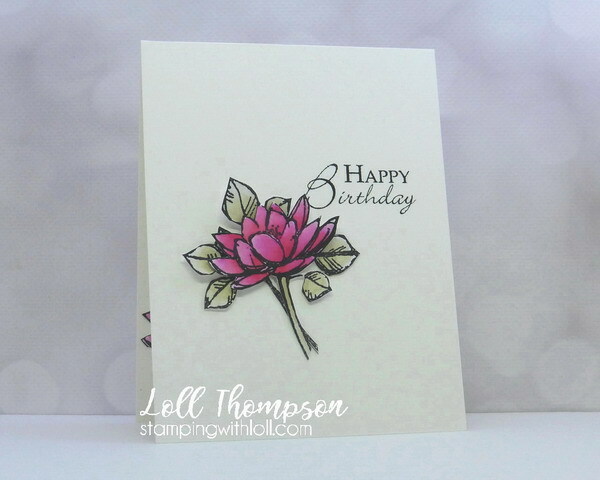 I love the clean look of this card and the flower is center stage with a fun surprise inside. Beautiful watercoloring, Loll! I love how you blended your inks for the flower petals...the effect is so striking against those soft green leaves, and your CAS design is sheer perfection! Another really lovely work of art! 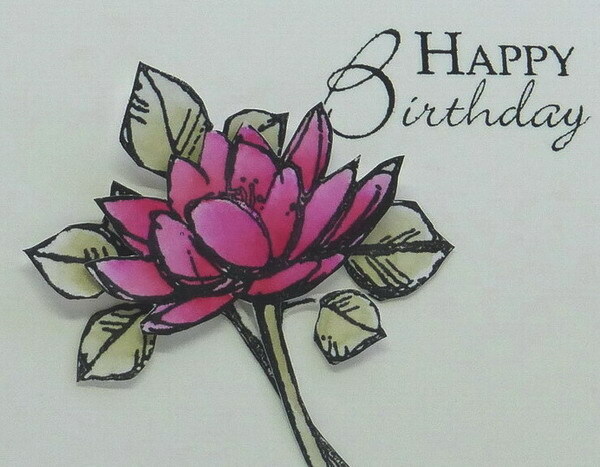 love this card mf...that flower is beautiful and love how you layered it. CAS perfection, Loll! Such a beautiful flower! Another Beautiful CAS card Loll. You really make the most spectacular cards look so stunning.